On the threshold of obtaining results from a clinical trial of a newly developed vaccine against hepatitis C virus (HCV) in a population at-risk for infection, investigators have described the challenges they have encountered and the prospects for success. 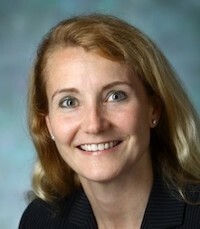 "A potential new vaccine to prevent HCV infection has been tested in Baltimore and at two other sites in the US, and the results of that trial will be available by summer," Andrea Cox, MD, PhD, Professor of Medicine and Oncology, Johns Hopkins University School of Medicine, Baltimore, MD, told MD Magazine®. "We are hopeful that this vaccine will be able to protect against HCV and stem the rising tide of HCV infections in the US," she said. The need for an effective vaccine to prevent new HCV infections is evident from the continued increase in infections in both the US and globally, despite availability of curative treatment with direct-acting antivirals (DAAs). "An estimated 2.4 million people in the United States are living with HCV infection, and about half of them do not know they are infected," Cox explained. "Although there are safe and effective treatments for HCV, the number of new cases of HCV infections have been rising since 2010 in association with the opioid epidemic." Globally, approximately 60% of countries surveyed by the World Health Organization (WHO) in 2016 had more cases of new infections than cures. In the same period, Cox and colleagues related data indicating that the use of DAA treatment decreased globally since its peak in 2015. They attribute the decline in treatments while infections have increased, in part, to the costs and logistics of delivering treatment, as well as to having already treated those who were easiest to access, leaving the more difficult to access without treatment. Cox and colleagues are now completing a staged phase 1/2 study in a population of people at high risk for HCV infection due to use of injected drugs, with a candidate vaccine that was found in healthy volunteers to elicit an appropriate T-cell-mediated immunity. The vaccine is composed of a replication-defective chimpanzee adenovirus (ChAd) vector encoding nonstructural (NS) proteins NS3, NS4, and NS5. The investigators describe a number of challenges that were confronted in developing the vaccine, including "the extraordinary genetic diversity of the virus." They point out that with 7 known genotypes and more than 80 subtypes, the genetic diversity of HCV exceeds that of human immunodeficiency virus-1 (HIV). "In addition to diversity among genotypes and subtypes, immune selection and the error-prone polymerase of the virus generate a diverse quasispecies of related but genetically distinct viral variants within each infected individual, presenting many opportunities for selection of viral variants with resistance to T-cell and antibody responses," Cox and colleagues explained. Based on promising experimental results, the investigators screened replication-defective vectors generated from a subset of novel ChAd serotypes, to ascertain whether they were neutralized by human sera, and able to grow in human cell lines. Of these, they detected that ChAD3 expressing the NS region from HCV induced long-lasting T- and B-cell memory responses in mice and macaques. Further testing confirmed that ChAd3-NS was well tolerated and highly immunogenic; and responses were sustained for at least 1 year after boosting with a heterologous adenoviral vector. "This response was similar to the sustained T-cell responses, in magnitude and quantity, associated with protective immunity in vaccine trials of other pathogens," Cox and colleagues observed. The boosting with the heterologous adenovirus was ultimately not deemed as robust as with a Modified Vaccinia Ankara (MVA) boost, however, and the final vaccine regimen brought to trial is ChAD3-NS prime with MVA-NS boost. The administered dose corresponds to what had been well-tolerated and immunogenic in healthy volunteers and is followed in 8 weeks with the MVA-NS boost. Cox and colleagues point to computer models that indicate that a vaccine with only 30% efficacy would significantly reduce HCV transmission if provided to high numbers of seronegative persons who are at high risk of infection from injecting drugs. The investigators note, however, that even with promising results from the current trial, larger trials will likely be required to confirm that the vaccine reduces the spread of HCV infection in this at-risk population. "However, this trial will at minimum demonstrate the feasibility of conducting HCV vaccine trials in persons who inject drugs," they indicated. The report, “Approaches, Progress, and Challenges to Hepatitis C Vaccine Development,” was published in Gastroenterology.